Creighton Gallup is a Partner with Pentiuk, Couvreur & Kobiljak, P.C. He is involved in general practice with an emphasis on representing businesses, housing cooperatives, governmental entities, and financial institutions. He focuses on civil litigation including landlord/tenant, divorce and family law, collection and employment law. Since joining the firm in 2002, Mr. Gallup has focused primarily in cooperative law, spearheading the Landlord Tenant Litigation Department. In addition, he is an annual lecturer at both the Midwest Association of Housing Cooperatives (MAHC) and National Association of Housing Cooperatives (NAHC). Mr. Gallup provides Cooperative board members and managers from all across the country educational training that is essential to assist them in effective cooperative governance and management, as well as liability prevention. Mr. Gallup is a contributing author to periodic publications for the MAHC Messenger and Cooperative Law Journal. He has also drafted proposed legislation exempting Cooperatives from the Michigan Truth in Renting Act and the Michigan Consumer Protection Act. Mr. Gallup attended Michigan State University and in 1996 received, from the James Madison College of MSU, his bachelor’s degree in International Relations with an emphasis on Foreign Language, particularly Russian and Japanese. After graduation, he spent a year continuing his study of Japanese at the Japan Center of Michigan Universities in Hikone, Japan, where Mr. Gallup earned an advanced degree in Japanese Language and Culture. Upon returning to the states, Mr. Gallup graduated from Michigan State University - Detroit College of Law. As a student, he clerked for the Honorable Richard Suhrheinrich of the 6th Circuit Federal Court of Appeals, as well as interning with the MSU-DCL Rental Housing Clinic. There he gained valuable experience in landlord/tenant law and had the opportunity to litigate cases while still only a law student. 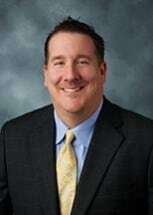 Mr. Gallup was admitted to the Federal Bar in 2004 and is also a member of the State Bar of Michigan, the Downriver Bar Association, the MSU-DCL Downriver Alumni Association, Polish Roman Catholic Union of America PRCUA, and the Wayne County Family Bar Association. He has also completed Leadership 21 and been recognized by Who's Who. He also served as a member of the Southern Wayne County Regional Chamber of Commerce on the Board of Directors.